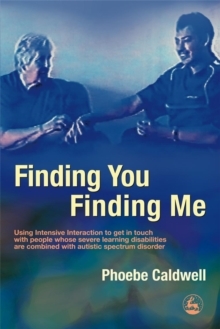 Phoebe Caldwell's remarkable new book makes accessible for the first time the complex, intricate inner and sensory worlds of people whose learning disabilities are combined with autistic spectrum disorder and, often, difficult-to-manage behaviour. Based on many years of working with such people, many of whom have withdrawn into a world of their own, she explores the different sensory reality they experience, showing it to be infinitely more complex and varied than is widely understood. 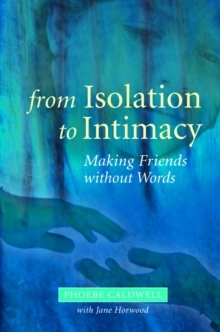 She introduces a practical approach known as Intensive Interaction, which uses the body language of such people - who have hitherto largely been regarded as unreachable - to get in touch with them, giving them a way of expressing themselves which shifts their attention from solitary self-stimulation to shared activity. 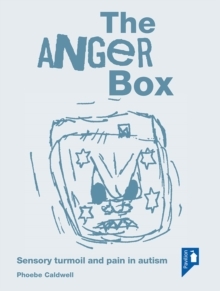 The outcome is not only a marked improvement in behaviour and ability to communicate but, more important, many parents will say 'they are just much happier'. 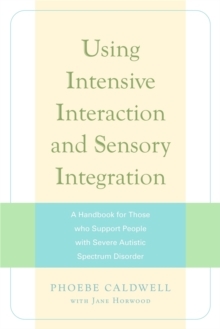 Covering not only the practical aspects of introducing this technique, but also the thinking behind it, this landmark book has much to say on behalf of a group that has in the past largely been denied a voice, and will open new avenues for both practice and research. 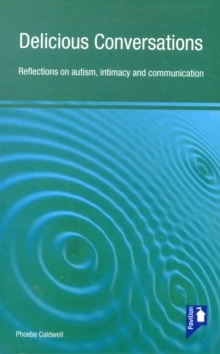 It is invaluable for parents, carers, and all who work with this group.